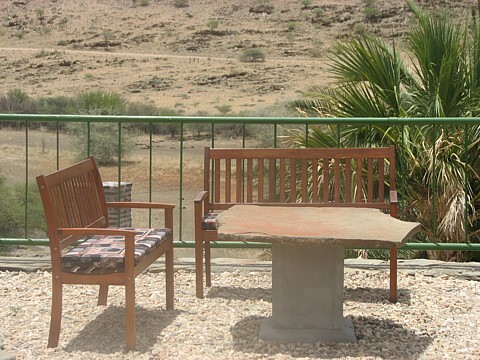 Farm Niedersachsen lies at the foot of Us-Pass on the outskirts of the Namib Desert, 160 km west of Windhoek. 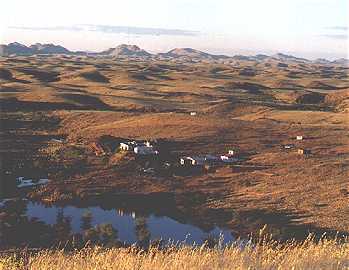 From the castle-like homestead on a hill one can enjoy a panoramic view over 18.535 hectares of undulating savannah scenery, bordered by the distant mountain ranges of the Khomas Hochland in the east and the Gamsberg in the south. Since 1936, Niedersachsen farms Karakul sheep, in good years up to 2000 animals. Since the demand for Persian lamb fur dropped in the 1970s, sheep breeding on Niedersachsen is of minor importance. Karakul sheep breeding is, however, still done on a small scale. The Guest farm Niedersachsen offers quiet, yet inspiring holidays in breathtaking nature, farm drives, hiking, game- and bird watching, 4x4 tours to the Namib-Naukluft-Park and to the Kuiseb Canyon and also spectacular Deep-Sky observations from our own astronomical observatory. 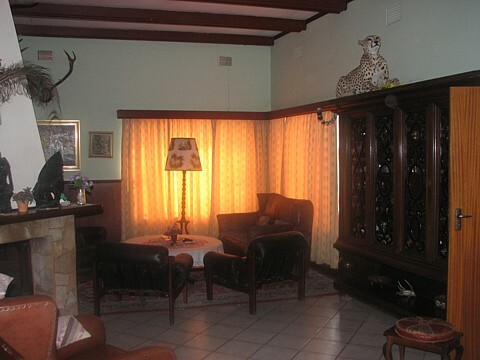 And, of course, we offer cozy accommodation in en-suite rooms and best home-cooked food with a focus on game meals. Your hosts Barbara and Klaus Ahlert - both Namibians of German origin - look forward to welcome you as guests on Farm Niedersachsen. - 5 spacious rooms, each with two single beds. An additional bed for a child can be placed in each room. 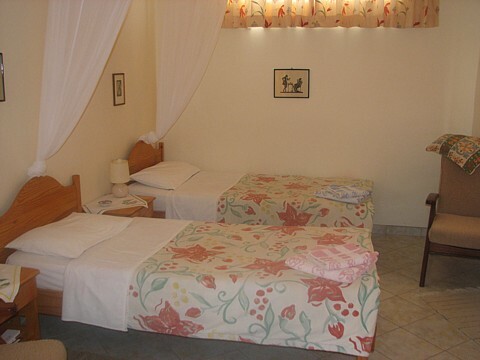 - All rooms are en-suite and comfortably furnished. There are easy chairs, and a table with reading lamp. 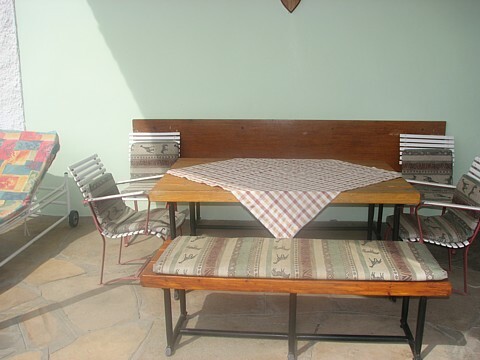 Some rooms have a verandah with garden furniture. Guests can also use our main verandah, where they will enjoy a wonderful view of the river valley and the hilly grasslands of our farm. - The lounge in the main homestead is also open to all our guests. 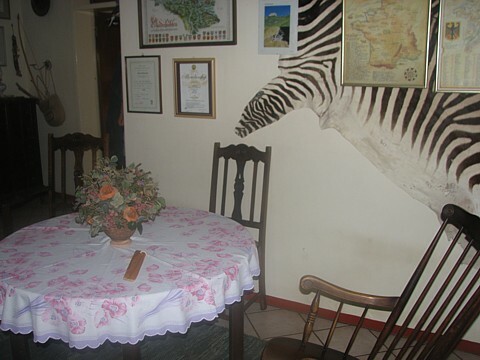 - We serve mainly traditional Namibian meals with an emphasis on game cuisine. For breakfast we serve German-style "Brotchen" as well as Namibian sausage specialties. Milk, butter and cheese from our own Jersey cows and the eggs are from our free-range chickens. - Following an old tradition on Namibian guest farms, we will take our meals together with our guests. This will give you the opportunity to get a first-hand impression of the life of a farmer's family at the edge of the Namib desert and also get interesting insider information on our country, the history and people. For camping enthusiasts we offer camping facilities on the farm. One site is very close to the homestead. The other site lies in the mountains (11km) and a 4x4 is needed to reach it. Both sites have shade, a cold-water shower and toilet. 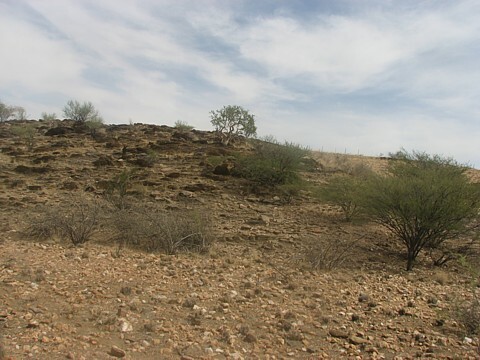 Farm Niedersachsen lies on the way from Windhoek to the coast on the gravel road D1982 below the Us-Pass. The distance from Windhoek is 160 km. Walvis Bay lies 160 km west; Swakopmund is 200 km away and Sesriem 260 km. During the African summer season, guests are kindly requested to contact the lodge by phone in the morning of their arrival day to enquire about road conditions on the farm, as these can be unpredictable due to occasional rainfalls. Coming from Windhoek take pad C26 to Walvis Bay. Behind the Kupferberg Pass turn right into D1982. The road is an interesting alternative to C28 and C26, with very little traffic. The last section leads through the Namib-Naukluft Park. Approx. 76 km before Walvis Bay you will intercept the C14. All roads in our region are gravel roads. They are usually in good condition and can be travelled in a normal car.